We have all watched companies going viral in their quest to take the internet by storm – companies who captivated our attention and made us laugh and cry with their engaging content. 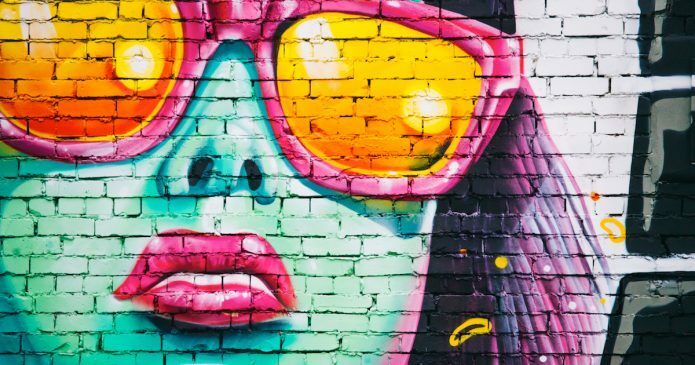 Companies like TrapKitchenLA and Taco Bell have figured out how to leverage social media in their favor excellently. Given these outstanding examples, we can find new and compelling ways to define our brands and reach our customers more readily. Consider the words of Kevin Harrington: Likes are not profit. The following five companies found ways to reach their customers on a very powerful level and managed to leverage their social media profiles into something that made a real difference to their customers. This is perhaps the most recognizable retweet campaign in recent history. Wendy’s received a Tweet from a young fan of their Chicken Nuggets. The fan wanted to know how many Retweets he would need to receive free nuggets for life. Many followers of social media and the news remember this very famous beginning. The teen obtained Retweets from influencers all over the world. Many celebrities like Aaron Paul and Ellen Degeneres Retweeted, along with Microsoft, Google and Apple Music. All of these influencers got in on the action. But Wendy’s itself remained the focus, creating a new hashtag campaign, #nuggsforcarter. 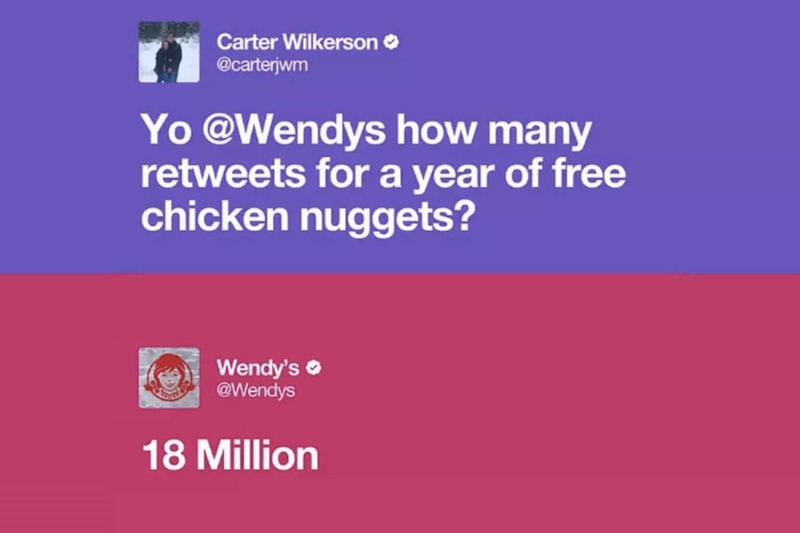 Carter failed to meet the 18 million Retweet number, but successfully obtained his nuggets for life, as he broke Ellen Degeneres’s record for most Retweets. Wendy’s gave Carter free nuggets and a large donation to the Dave Thomas Foundation for Adoption, establishing their brand as one to give and receive. This publicity not only endorsed their product but also showed that they can be philanthropic while still providing positive feedback for their brand. TrapKitchenLA is one of the most fascinating social media stories out there. A group of people get together as individuals and run a restaurant via Instagram. 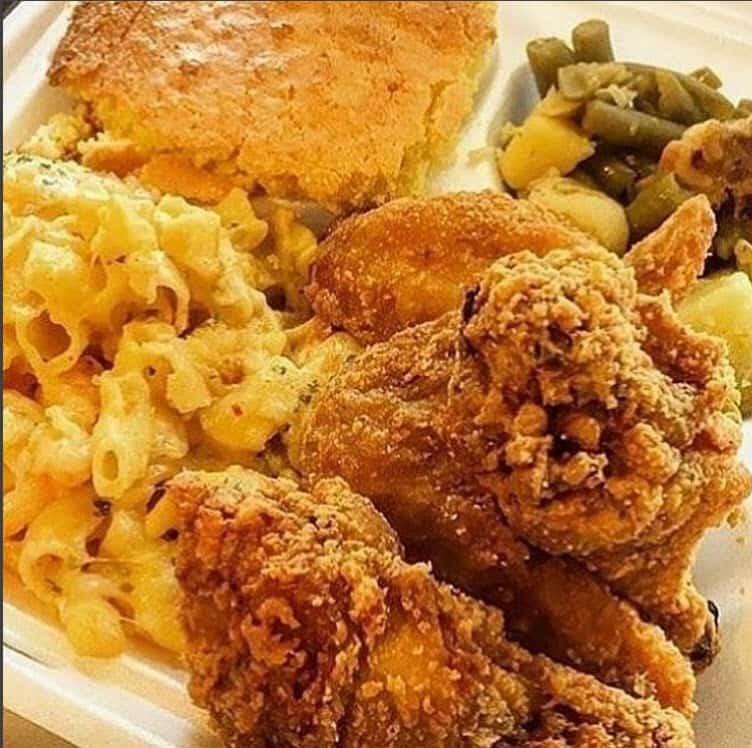 These people cook “homey” comfort food out of a small, makeshift commissary. Even via this little kitchen, they create beautiful dishes that entice their customers every day. These cunning chefs have figured out a way to leverage social media channels to bring them more and more business. Every day, they post photos of their photogenic fares to entice new customers and loyal followers to come to their establishment. They tell their customers to put in their orders early, as they may sell out fast. This sense of urgency leverages their social media accounts to obtain orders very quickly and to sell out of product before the end of every day. The idea that Disney doesn’t know how to leverage their brand is a little bit crazy. We all know their characters, films, and theme parks. And yet, they waged war on social media to make sure that sick children got the experiences that we all knew that they deserved. All their followers had to do was to post a photo with them wearing their Mickey Mouse ears and hashtag #shareyourears, and Disney would donate $5 to the Make a Wish foundation. Disney didn’t make their followers share only Mickey Mouse ears but also allowed their followers to post DIY versions of the famed ears. This gained a huge social media following that met the fundraising goal for the promotion almost immediately after the promotion launched. Disney used social media to reach its followers and engage them in a promotion that did nothing but benefit charity. In the end, Disney won, and the Make a Wish Foundation won. We’ve talked about using social media to earn money for charity, enhance your brand image, even sell food, but what about selling nothing for something? 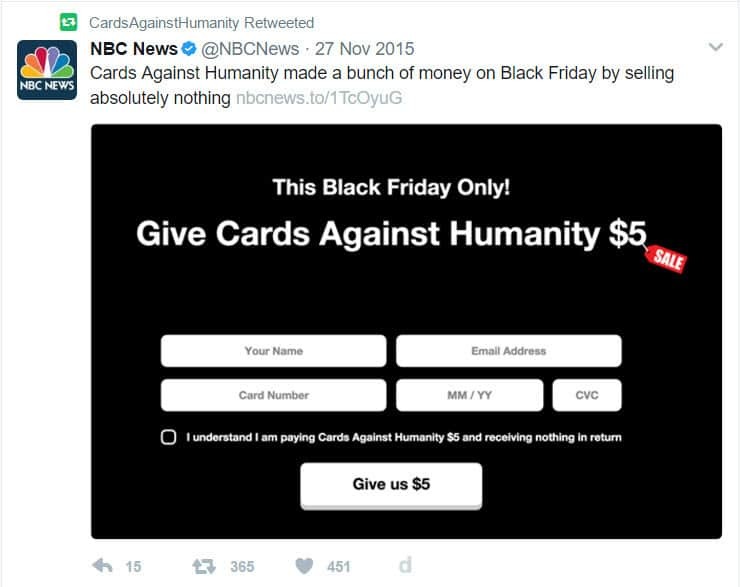 Cards Against Humanity leveraged social media followers to create a buzz about a crazy idea: sell nothing for something. Cards Against Humanity used their social media following to raise $71,145.00! They posted an accounting of what they did with all of the money in a special post. CAG acknowledged that they thought that most fans would think that they used the money for charity, but instead, they decided to give back to the people who make all of that happen, their employees. The employees all had wish lists that were fulfilled by the company and by the donations of fans all over the place. A truly excellent example of what it means to leverage social media followers. 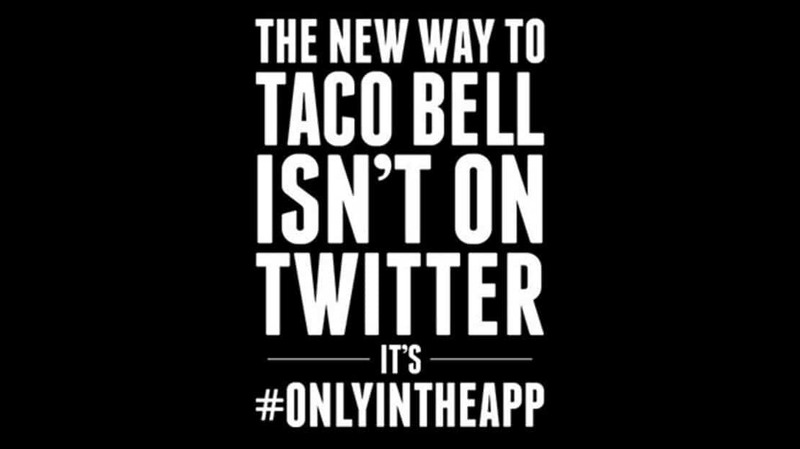 Taco Bell figured out a new way to get its app in the hands of as many fans as possible. Taco Bell blacked out its social media accounts. For the entire day, all it posted was a graphic telling people to go to the app. The app was the only place where info could be found. The social media blackout was a huge success for Taco Bell. Not only did they direct people to their new app, but they also drove mobile sales. Taco Bell said that they had processed mobile orders for 75% of its stores the day after launch. Interestingly, social media shutdown worked for Taco Bell in a way that seems incredibly counter-intuitive. What can we learn from all of these examples? We have learned, in essence, that conventional, is boring. People are attracted to the unusual and the unusual can help to drive your following. We’ve also learned to continue to drive your brand with your social media campaigns. Disney drove their brand through ears. Wendy’s drove their brand through a hashtag. Taco Bell didn’t say anything at all, but let their app speak for them. All of these methods continued to impress their followers and drove more and more readers into their circle. Even with all of the variety and diversity in all of these campaigns, we have found a common thread. The voice and the tone of these campaigns matched the audience that they targeted. Cards Against Humanity knew their readers and knew that they would be willing to provide funds without knowing where that money was going. Disney knew that its followers were creative enough and passionate enough to post their photos for charity. Wendy’s knew that their social media accounts would blow up at the suggestion that someone would receive a prize just for Retweets. All of these companies knew their audience and knew where they would like to go. dlvr.it can help you schedule any campaign that you would like to run for your social media following. It is a tool that can schedule posts far in advance so that you don’t have to do the legwork of posting every single time that you need to update your followers. dlvr.it can also repeat any post that you deem necessary to send out more than once (another way to leverage social media). Check out dlvr.it’s support site for more information.